INDUSTRY.co.id - Yogyakarta - Minister of Transportation Budi Karya Sumadi promised to be more selective in choosing a partner or a hand-catching operation contractor conducted by the Corruption Eradication Commission (KPK) to the Director General of Sea Transportation on the alleged bribery case of the port project. According to him, during this time he was more concentrated on the function of ports and airports. Post-incident, according to him, all project work in the Ministry of Transportation will continue to be guarded to ensure appropriate spesification or not. "It's actually my world before, so we'll go in there more," he told the media crew. He said the effort to prevent corruption in the ministry actually started since he first served as Minister of Transportation. "Since I entered, we have to do hand-catch operation (OTT), for example we do in Jakarta, Surabaya, Medan and Samarinda, in Samarinda we can save more than Rp400 billion," he said. Related to the KPK OTT event against the Director General of Sea Transportation, Budi apologized to all parties. The case, according to him, is expected to be a learning material for all parties. "So I apologize for the incident and this is a lesson for us," he said. 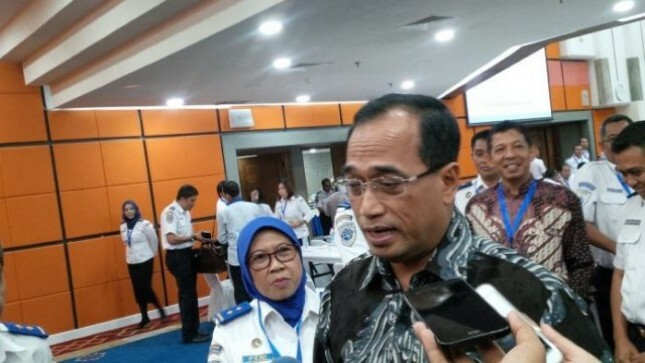 Previously, money worth Rp20, 74 billion KPK seized on bribery case Director of Sea Transportation Ministry of Transportation Antonius Tonny Budiono. One of the bribes is related to the dredging project of Tanjung Emas Port Semarang.